Click and click again to see ful size image. Successful entrepreneurs and investors are always focused on seeking to grow as fast as possible, thus ensuring continued access to more capital, better talent and new opportunities. This workshop presents what every experienced entrepreneur wishes had been taught by mentors and counselors early in their entrepreneurial venture; that is, heuristics knowledge derived from experience and from studying 100’s of prior ventures; and summarized in a way designed to make a major difference in how an entrepreneur focuses, structures and executes a new venture. It is a must for entrepreneurs and investors of all backgrounds and pursuing the widest possible array of target venturing spaces. Novatempo Workshop NVT-01 “High Growth Entrepreneurial Ventures: Practical Aspects” was designed by experienced technology entrepreneurs to help founders, investors and government officers to more effectively choose those technology areas, product ideas and business models better suited for sustaining high rates of growth, for offering superior results to local early stage capital sources, and for having better possibilities for attracting professional global capital. This workshop provides a well documented review of the distinctive characteristics of a technology startup. The workshop helps understand why certain technology areas and certain specific models should be preferred by entrepreneurs considering a new venture. It discusses how to draft a plan of execution realistic enough to attract capital from local angel investors, often seasoned entrepreneurs themselves; and yet, ambitious enough to appeal later on to professional global capital. The workshop also reviews high growth business models supported by specific details of the underlying technologies. The workshop uses cases and methods extracted from the actual experience of small entrepreneurial companies, some of them started by the instructors themselves. The workshops is presented as a sequence of short presentations, followed by a interactive discussion with the participants in which they are encouraged to share their own experiences and pose questions to the group and to the instructors. What is a valid opportunity? Developing a model to pursue the opportunity? What should I do first and next? Do I need a Trademark? Which one? Should I pursue patents? When? Where? How? How do I scale my venture? Do I need capital? Where do I find it? What should I argue to investors? What are the possible exits? When do I start planning for an exit? Note: The workshop contents may vary based on level of interaction with participants. Entrepreneurship is at the heart of global commerce and trading processes leading to job creation, wealth accumulation, productivity growth and human condition improvement. Furthermore, the collective wealth of any stable society; supported by a framework of free trade, strong property rights and peace, is inextricable tied to entrepreneurship and innovation. Business entrepreneurs drive innovation in the replication, franchising and reorganization of production and distribution of goods and services. Financial entrepreneurs drive innovation in the risk management processes of the allocation of capital. Technological entrepreneurs drive innovation processes through which our society converts advances in science and technology into disruptive new products and high growth businesses. Among all entrepreneurs, technology entrepreneurs are particularly sought after since their ventures tend to have a disruptive impact on global trade, wealth accumulation and creation of highly productive jobs. Technology ventures seek to generate rapidly growing sales and profits from products and services supported by cutting edge technological innovations; this makes the challenges faced by technology entrepreneurs very unique and includes: (1) Very High Risk, (2) Highly Trained Personnel, (3) Rapid Developmental Stages, (4) Early Global Presence, (5) Unique Sources of Capital, (6) Valuable Intellectual Property, (7) Inherent Scaling Models, and (8) Engineered Exit Strategies. The combination of these unique factors makes technology ventures ideally suited for high rates of value creation; and for this reason, ideally positioned for venture capital attraction and for accelerated accumulation of wealth. The workshop we present is designed to deliver what every entrepreneur wishes to have been taught by mentors and counselors early in their entrepreneurial ventures; that is, heuristics knowledge derived from experience and from studying 100s of ventures; valuable knowledge that can make a major difference in how an entrepreneur focuses, structures and executes its venture. For webcast pricing information select the corresponding region below and go to the registration page for an up to date price quotation. Pricing depends on intervening time to the event, possible discounts and other adjustments. For on-site pricing information request a Price Quotation. Pricing depends on number of on-site participants, regional adjustments and time of the year. We have chosen GMT times that allow for reasonable local times for the participants in their respective regions. 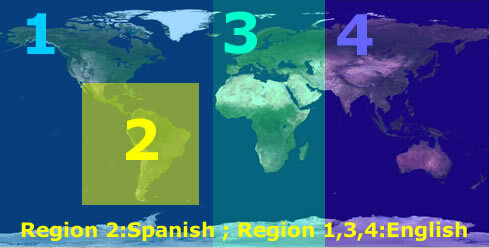 Choose your region using the map below. The webcast time in each city can be calculated using this Time Zone Converter from the respective GMT time on the registration form. The converter reflects Daylight Time seasonal adjustments, as needed. There are no refunds for workshops attended. There is a full refund of paid price minus $10 for cancellations 10 days or more before the event. There are no refunds for cancellations less than 10 days before the event. There are no refunds for absence due to force majeure if less than 10 days before the event. We will offer a no-cost attendance to a later date event in case of an involuntary absence that is notified to us by email before the actual date of the pre-registered event. We are proud and passionate about our offerings. We try to deliver significant value and the highest quality to our event participants. If for any reason you are dissatisfied, we ask you express your opinion using the “Evaluation Form” provided during the event. We will try to correct the problem; and in case of a serious level of disappointment, we will accommodate you at no extra charge to you in a following event.